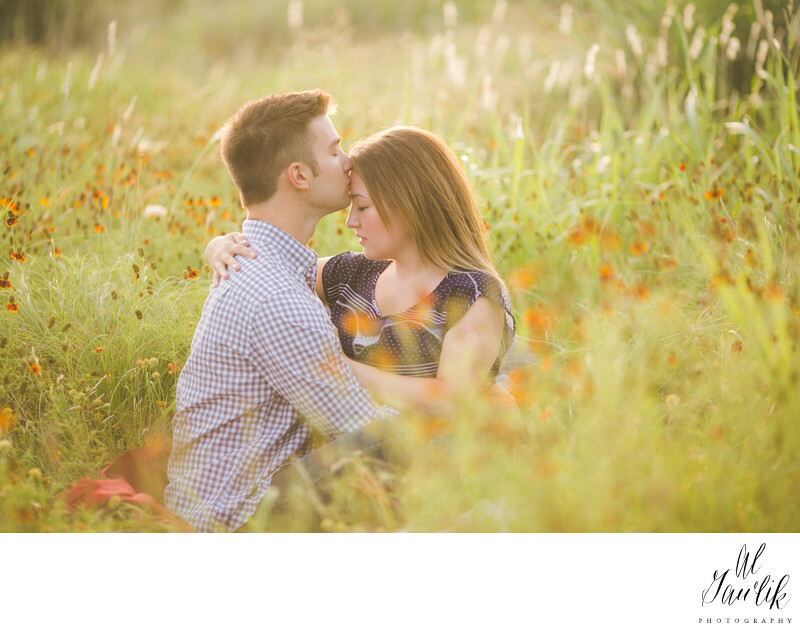 Lovely engagement portrait in the wildflowers under the setting Texas sun. The picture tells it all and you can feel the shared love between this man and woman moments after their engagement. Al Gawlik Photography is there to help tell the story from this moment forward.